Which New England state has had the most snow this winter? A record-setting February for snowfall and a chilly, snowy March is positioning Maine for a spring skiing bonanza. If you love to ski and live in New England, you’re forgiven if this winter has your head spinning. One day it’s a bone-chilling four degrees, the next day it’s a seasonal 25, and then suddenly it’s 65 and you’re in shorts, only to grab a sweater a day later as it dips back to 20. But one New England state has managed to maintain a consistent wintry look and feel from December right into March and is showing no sign of welcoming spring anytime soon: Maine. 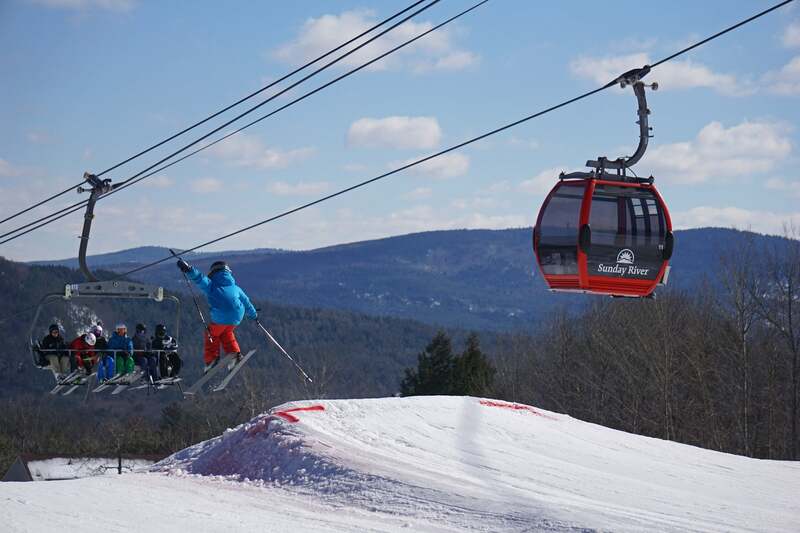 If you like spring skiing, the best in New England is likely to be in the Pine Tree State, where snowfall totals have ranged from 77 inches in Houlton to 96 inches in Caribou to 129 inches in Greenville. At Sunday River in Bethel, the snowfall total has surpassed last year’s 91 inches, and the blizzard arriving this week with a predicted 12-18 inches across Maine will easily push Sunday River past 100 inches. And he said for those already writing off winter, hold on to your ski hats. 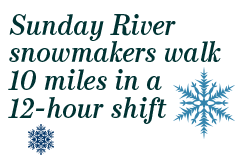 “The trend for the month is chillier, with cold Canadian air, and the potential for a snowier pattern,” Erickson said. For mountains like Sunday River, one of New England’s leading snowmaking mountains, the conditions are ripe for a long ski season. And Sunday River can smell it: The mountain is allowing anyone who purchases a 2017/18 New England Pass or a resort-specific millennial pass and pays in full before April 30 to use it to ski/snowboard this spring starting on March 13. 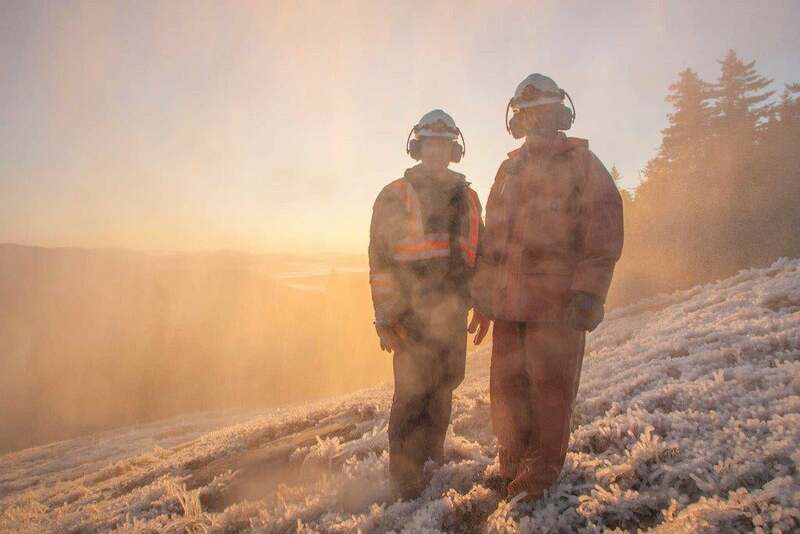 Sunday River began making snow by Halloween of 2016. By the middle of November it was the first Maine ski resort to open, with enough snow over its eight peaks by mid-December to fill every NFL football field in 100 feet of powder. And now after a record February that saw 24 inches fall in a 24-hour period, Sunday River’s 2,000 snow guns, 2,200 hydrant stations, and 80 miles of snowmaking pipe—enough to stretch from Boston to Kennebunk, Maine—are just piling it on to a packed base. 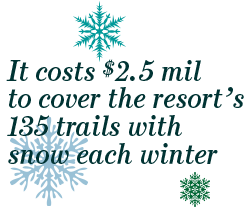 What makes Sunday River such a snowmaking powerhouse (In 2016, one of the worst natural snow years in New England history, the resort won the “I AM a Snowmaker” Award, presented by Ski Area Management Magazine)? 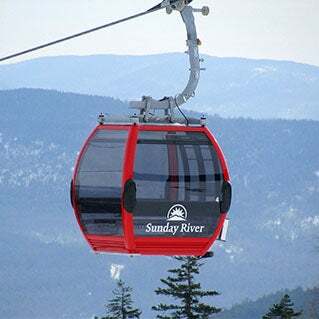 Besides its $7 million investment in snowmaking since 2007, the actual Sunday River that flows from the Mahoosuc Range to the Androscoggin supplies a perpetual water supply for making snow, an enviable resource to other ski resorts. But even Bastian admits that simply making snow isn’t the real challenge for New England ski resorts. That’s the easy part. 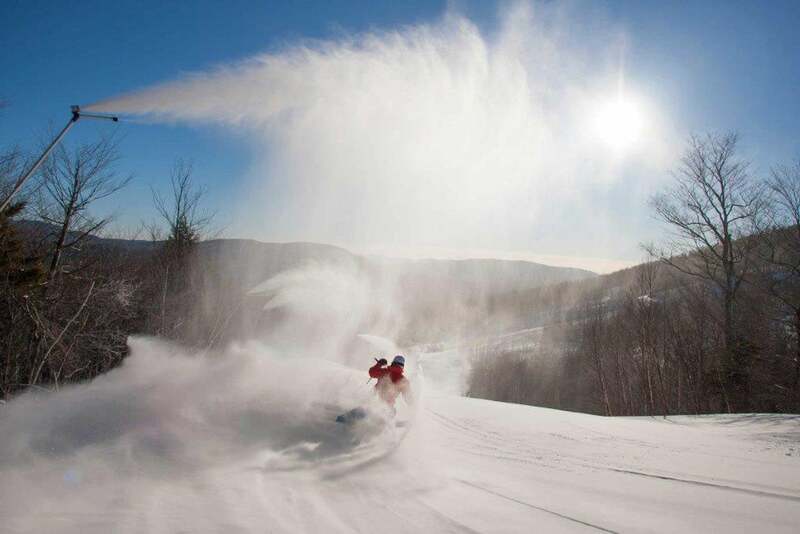 Making good snow is what separates Sunday River, he says. He says the goal is always to make skiable snow right out of the guns, to emulate natural snow that requires little, if any, grooming. This winter, that manmade snow, combined with Mother Nature’s Maine bounty, could turn this confusing winter into a blissful spring for skiers and snowboarders alike.